Quality, custom-built Canandaigua Lake residence located on a private drive near all amenities and easy commutes! This offering consists of Main lakefront home (4 bedrooms, 2.5 baths) with Guest house (1 bedroom, 1 bath) on .6 acre lot PLUS rear Ranch (2 bedrooms,1 bath) situated on approx 1.4 acres! Main house enjoys open floor plan, two-story great room with fireplace, gourmet lakeside kitchen with dining area, 1st floor master suite and 1st flr laundry. Upgraded features throughout. Covered lakeside porch. Rear courtyard. 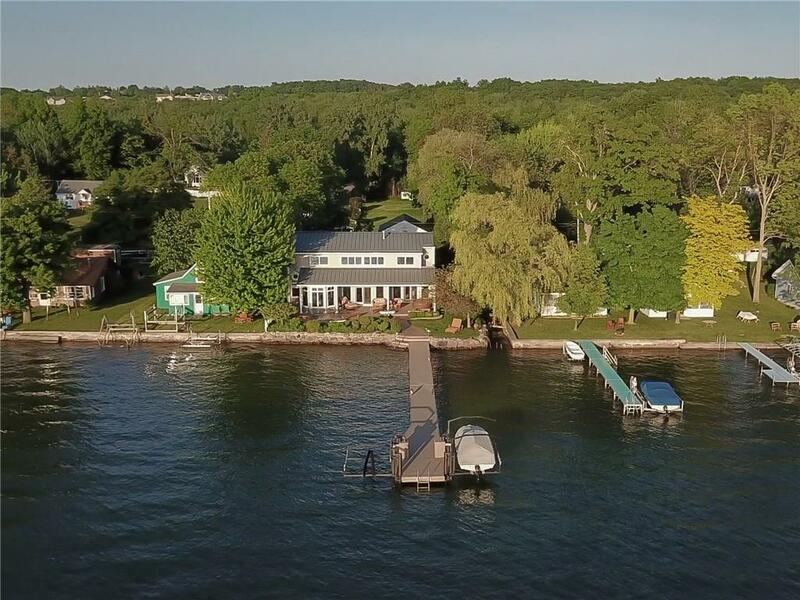 Prime lake level waterfront with permanent dock & hoists. Lighted stamped concrete walkways. All public utilities. 3 car garage. Perfect yard for extra parking and recreation! Panoramic lake view with breathtaking sunsets!! Directions To Property: East Lake Road (Rt364) To Sandy Beach Drive To #3510 & 3505 Sandy Beach. Look For Signs.